Please contact us if you have questions and comments about our research, development, applications, and services, or would like to explore potential collaborations with us. 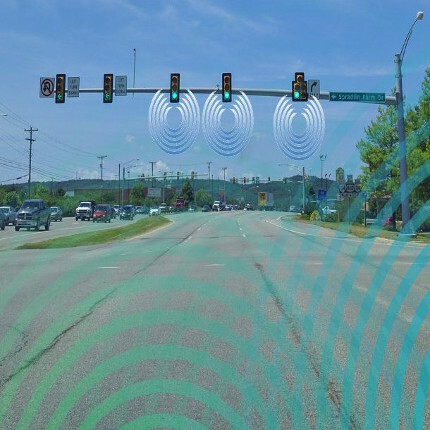 In this project, we have proposed an integrated in-vehicle decision support system to help driver make better and safer stop/go decisions as a vehicle is approaching a signalized intersection. Supported by the IoT communications, the system has integrated and harnessed real-time information from both vehicle and infrastructure. Novel decision rules are designed as smart modules utilizing the key physical and behavioral inputs from vehicle motion, vehicle-driver characteristics, intersection geometry and topology, signal phase and timings, and the definition of red-light running (RLR) law. The performance has been evaluated with systematic simulation experiments. 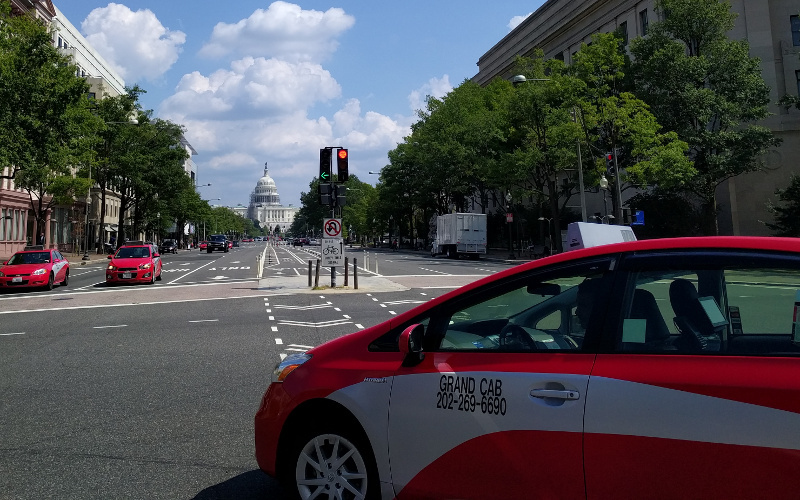 The results indicate that the smart system can not only ensure traffic safety by greatly reducing the probability of RLR violations down to zero, but also improve mobility by significantly reducing unnecessary stops at an intersection. 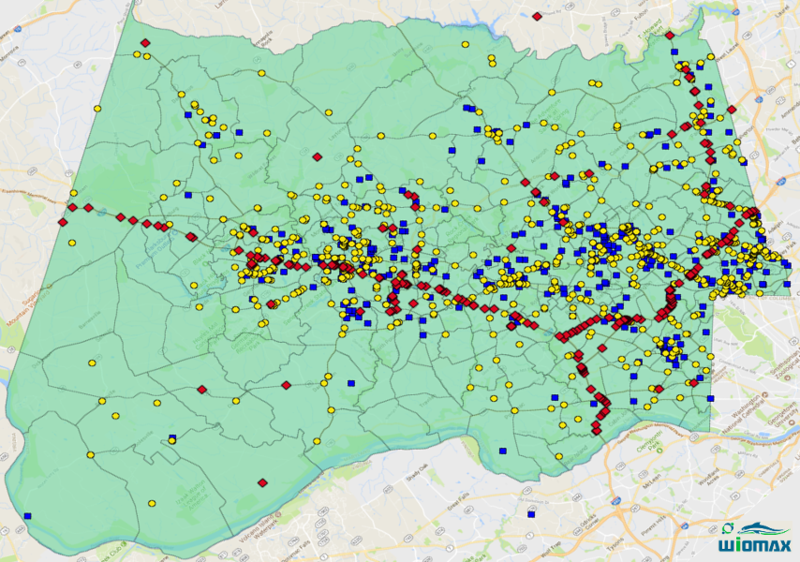 X. Xie and Z. Wang, “Combined traffic control and route choice optimization for traffic networks with disruptive changes,” Transportmetrica B: Transport Dynamics, vol. In Press, 2018. 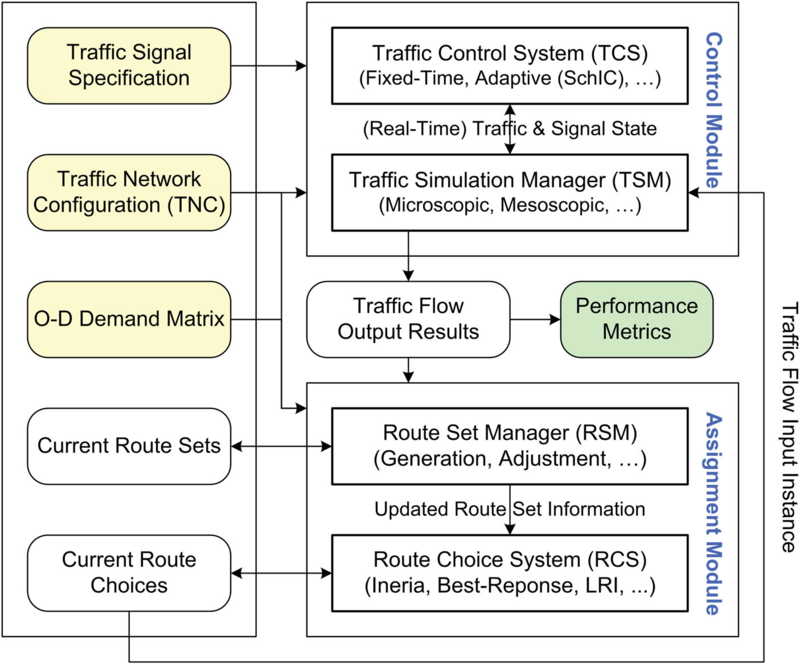 We present a combined traffic control and route choice optimization (CTCRCO) system to quickly find new traffic equilibrium solutions in urban road networks with significant changes. The system iteratively executes a control module which combines a traffic control system (TCS) and a traffic simulation manager (TSM) and an assignment module which combines a route set manager (RSM) and a route choice system (RCS), thus can optimize both traffic flows and route choices for minimizing average travel time of vehicles. We evaluate CTCRCO by testing various traffic scenarios in real-world road networks with significant changes. The results show that TCS and RCS are both significant for achieving a quick and low-cost convergence to an approximate equilibrium in a road network with significant changes. Approximate simulations not only accelerate convergence processes for non-congested cases, but also bypass potential gridlock states for over-congestion cases. The role of different path-finding procedures is also examined.